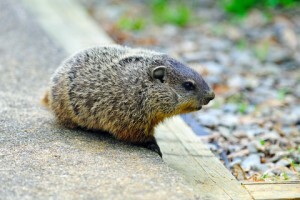 Punxsutawney Phil recently predicted six more weeks of winter. With arctic cold fronts blanketing much of the country, the last thing on anyone’s mind right now is warm air. But that’s exactly what you should be thinking about — air conditioning, that is. When the mercury rises next summer, so will your HVAC repair bills. Right now is the best time to have the systems cleaned, tested and ready for summer heat. Not only will you avoid hot tenant tempers (if the AC fails), but it can also save you a bundle of cash. Many HVAC service companies offer mid-winter cleaning/service specials when their staff is idle and they’re looking for extra work. After all, you don’t want to bet your profits on a groundhog. Added Benefit: Be sure to let your tenants know that you are inspecting and cleaning their HVAC well ahead of the hot summer months. They’ll appreciate your foresight and respect the fact that you’re looking out for their interests. Sometimes those simple gestures go a long way toward building higher tenant retention.